Salad Shake is a unique salad recipe & suggestion app for the iPhone & iPad that offers you billions of dynamic possiblities! Salad Shake is available on the Apple App Store for Just $0.99! Grab yourself a copy and start shaking. 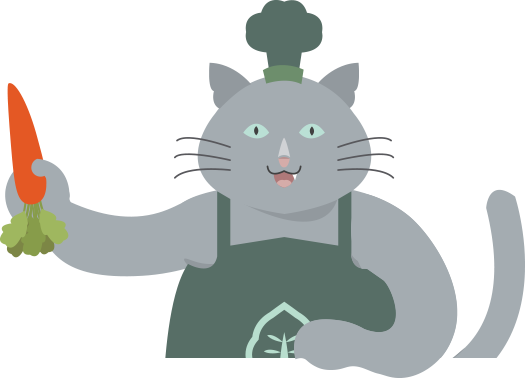 Use our salad algorithm to generate salads that are totally unique and lovingly crafted just for you--by our cat chef. Our algorithm was written to include over a hundred ingredients. Each time you create a salad, you’re almost guranteed to get a different result--unless you’re picky. You can generate unlimited salads, save your favorites, make your salads for real, modify the ingredients to your taste and more! Share your favorite creations with your friends or dare them to eat some strange combinations. We are actively expanding our ingredients list so your salads will continue to be crazy unique and become even more interesting. Salad Shake is $0.99. Period. We don’t run ads, we don’t have hidden subscription fees, we don’t even have in app purchases. You pay one dollar and you get everything, including future updates and ingredients releases. Salad Shake is available on the Apple App Store for just $0.99! For less than a cup of artisan coffee, you could be making billions of salads ~^_^~. Just three quick steps and you can shake yourself a salad. It’s so easy, we had a cat do it for you. Pick how many ingredients you want in your salad from 4 to 8. Carefully shake your iPhone or iPad to mix up the ingredients. Marvel as our chef comes up with a salad in just seconds. 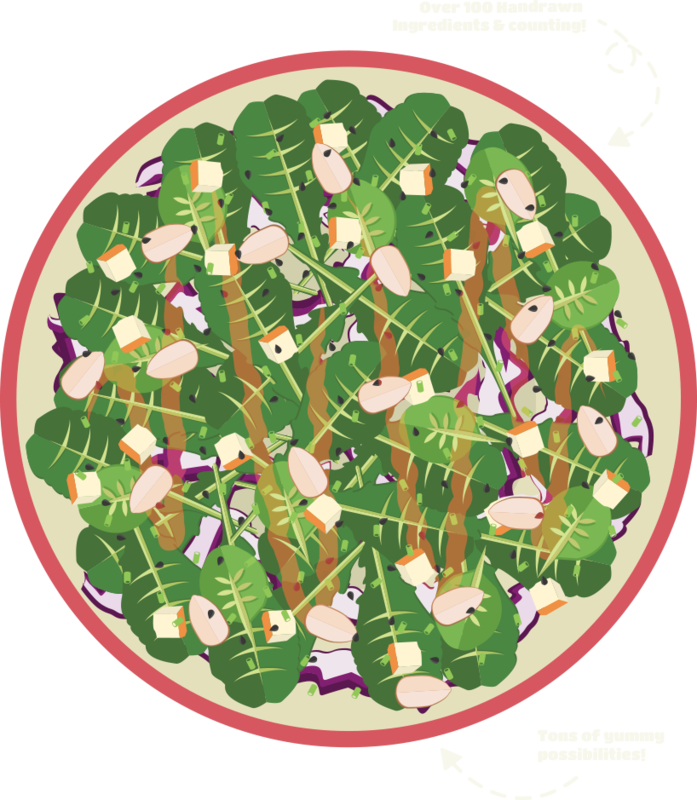 Shake your salad, share your salad, challenge your friends to eat your creations. There’s so many ways to enjoy Salad Shake. Over 100 Ingredients included. More on the way! Share with your friends, use it as a grocery list, eat healthier. Shake as many salads as you want. Find an inspiring and unique salad in just seconds. Write recipes from your Salad Shake salads and share them. Personalize your ingredients by choosing which you want to use. Find and discover all the ingredients. Found a bug? Want to request a feature? Just want to get in touch with us at Imbrium Interactive? Use our contact form below. This will help us put you in contact with the right person. If you're not sure, leave it as a General Inquiry. Yay! We would love to hear from you. Can we ask how you heard about Imbrium Interactive or Salad Shake? We also have an FAQ section. Click here to see if your question was answered already. We hope you like free stuff as much as we do! 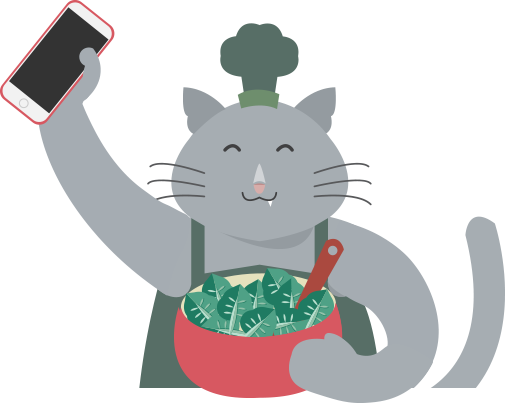 We've created some cute things you can use with Salad Shake. Check them out. We've included tons more resolutions and sizes in these zipped wallpapers than our direct links. Download these compressed versions for wallpapers sized for iPad Pro, iPhone 6 Plus, and much more! Salad Shake is available on the Apple App store for just $0.99! That's less than a fancy cupcake at a bakery and healthier too! Looking for our Press Kit? Click Here!